I love when my Birchbox has a product that immediately makes it into my must-have product arsenal. And such was the case this past month with Caudalie Hand and Nail Cream. The moment I squeezed a little out of the tube and onto my hands, my life was forever changed. I hate hand creams that leave my skin feeling slick and greasy. Well, not so with this one by Caudalie. It blends into skin instantly upon contact and just leaves your hands feeling like silk. And, even though it apparently has a fruity scent, I actually find it to be odorless (which I love -- I really despise scented hand creams). The best part? Dryness and dehydration are now a thing of the past! Even with all the traveling I do every week, my hands have never been so soft and smooth. 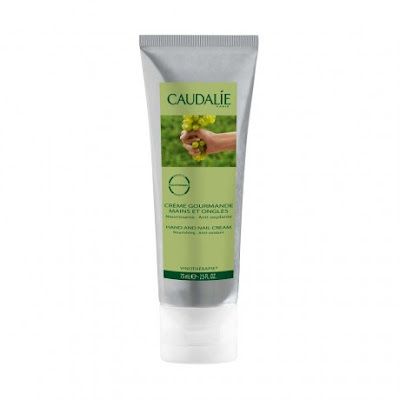 Caudalie Hand and Nail Cream retails for $15 at birchbox.com.